The cult film that made an overnight star of Richard E Grant is on screen at Wincanton Town Hall on Saturday April 8th from 6.30pm as part of Where West Begins’ neighbourhood cinema programme. Withnail and I, made in 1987 and celebrating its 30th anniversary this year, is the story of two unemployed actors finding themselves through a haze of drink and drugs. It is a touching farewell to a lost era (the 60s) and a coming of age comedy about friendship. 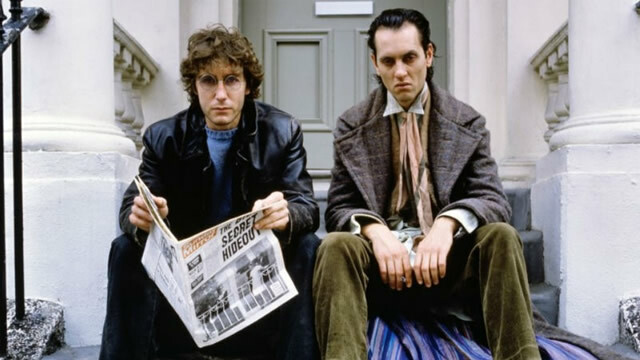 The anxious, luckless Marwood (Paul McGann) and his acerbic, alcoholic friend, Withnail (Richard E Grant in his film debut), spend their days drifting between their squalid flat, the unemployment office and the pub. When they take a holiday "by mistake" at the Lake District country house of Withnail's rich and flamboyantly gay uncle Monty (Richard Griffiths), they encounter the unpleasant side of the English countryside – tedium, terrifying locals and torrential rain. The evening will include a talk by actor Scott Handy, who is head of drama at The Other Place. He will talk about this peculiarly British film that has shadowed his professional life, from encounters with “I” and “Uncle Monty” to his choice of drama school, and working with the original Withnail, who inspired writer and director Bruce Robinson. The screening begins at 6:30pm and gin and cider will be served. For bookings and more information visit www.wherewestbegins.co.uk.